All fees include 20% French VAT. 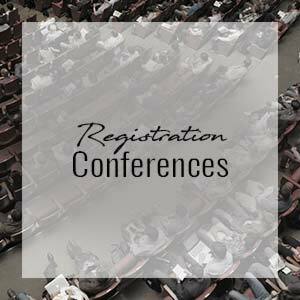 Conference Registration Fee comprises full conference participation, conference materials, list of delegates, conference proceedings, welcome cocktail, coffee breaks, lunches and Bandol Conferences® 2018 Dinner, but do not include accommodation. Upon receipt of your registration and payment, an invoice will be sent to your attention. Cancellations : Fees will be refunded in full if notice of cancellation is received by 13 July 2018. After this date, the conference fees will not be refunded. Substitutions of delegates may be made at any time. Cancellations and changes should be notified in writing. In all cases date of postmark shall apply. 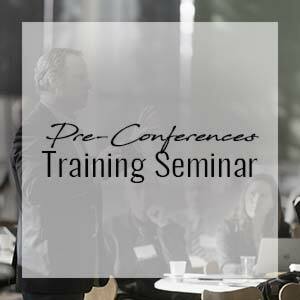 Any fees to be refunded will be paid after the end of the conference. The organizer reserves the right to change the program content or to cancel the event due to important reasons. Data protection : In accordance with the French Data Protection Act (Informatique et Libertés, (01/06/1978), the information that you are asked to provide is required for the processing of your registration. You are entitled to access or demand the rectification or deletion of this information by writing to the Bandol Conferences organization. View cart “Table-top Exhibition package, includes one free Conference Registration :” has been added to your cart.